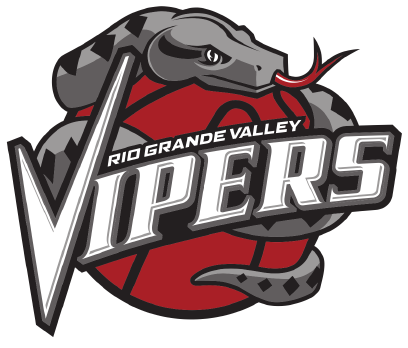 The Rio Grande Valley Vipers selected guards Tony Wroten, Devin Bookert and Rodney Cooper during the 2017 NBA G League draft on Saturday before finalizing their training camp roster later in the day. RGV made Wroten its first selection with the 23rd pick of the second round, No. 59 overall. Wroten was selected No. 25 overall in the 2012 NBA draft by the Memphis Grizzlies following a standout freshman season at the University of Washington. After a quiet rookie year, he had a few notable moments playing for the Philadelphia 76ers during his second professional season, posting a triple-double in his debut on Nov. 13, 2013, and scoring 30 points on March 8, 2014. Wroten was averaging 16.9 points and 5.2 assists per game through the first 30 games of 2014-15 before missing the rest of the season to undergo surgery to repair a partially torn ACL in his right knee. Wroten appeared in just eight games upon his return in 2015, averaging 8.4 points, 2.5 assists and 3.6 turnovers per game on 33.8 percent shooting. He was waived on Dec. 24, 2015. He played last season for the D-League’s Texas Legends, averaging 12.6 points and 2.3 assists in 16 games before being waived on Jan. 28. Bookert was the Vipers’ third-round selection. He played four seasons at Florida State University, averaging 9.5 points, 2.8 assists and 2.7 rebounds as a senior. He was a 41.9 percent 3-point shooter for his career. Cooper, RGV’s fourth-round pick, played at Alabama from 2011-15, averaging 11.1 points and 3.7 rebounds during his senior season. He most recently played for the D-League’s Maine Red Claws last year, joining the team Dec. 1 and being waived Dec. 6. All three players were part of the Vipers’ 15-man training camp roster, finalized Saturday. The group also featured RJ Hunter, who RGV acquired from the Long Island Nets in exchange for a first-round pick in the 2018 G League Draft. Hunter played for Georgia State from 2012-15 before being selected with the No. 28 overall pick in the 2015 NBA draft by the Boston Celtics. He averaged 2.7 points in 8.8 minutes per game in 36 appearances with the Celtics as a rookie before being waived. He also appeared in three games for the Bulls during the 2016-17 season. In two D-League seasons between Maine, Windy City and Long Island, Hunter averaged 17.2 points and 3.2 assists per game across 37 appearances. The Vipers roster also includes returning players forward Chris Walker and guard Julien Lewis. Additionally, guard Demetrius Jackson joins RGV on a two-way contract. Jackson played at Notre Dame from 2013-16, was a second-round pick by the Boston Celtics in 2016 and signed with the Houston Rockets on Aug. 21. Jackson averaged 2.0 points and 3.4 minutes per game in five appearances with the Celtics last season and posted 14.8 points, 6.0 assists and 5.1 rebounds per contest in 32 games with their D-League affiliate, Maine.